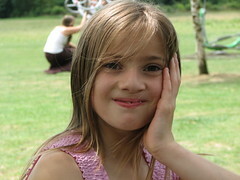 It is nearly 8 years now since our daughter was born with a cleft lip and palate and nearly 5 years since I wrote the the page on MuddlePuddle that described her early weeks and months. I thought it was appropriate now, at the end of a long period of non-surgical intervention, to look back and reflect on what the early years of parenting a cleft palate child have been like. In retrospect, there is no altering the fact that this was difficult, though that was most certainly compounded by the fact that she was our first and we were therefore hugely inexperienced anyway. Had we had her second (or perhaps preferably fourth!) things would have been enormously different as we would have had a better understanding of her “baby cues” anyway. *being desperate to breastfeed and continuing to try when there was no hope. *wearing myself out by expressing milk for her only to see it regularly thrown back up due to colic and wind . I’m not sure the gain was worth the pain. * not wanting to use special needs bottles because I couldn’t bear such an acknowledgement of what had happened. I would say though that more babies seem to be being fitted with an insert in the early days which covers the palate gap and makes breastfeeding a more viable option. I’ve gone on to breastfeed all of my subsequent babies and am passionately in favour of breastfeeding so am in no way suggesting mothers should not bother to try if they want to, purely that in our particular circumstances, at that particular time, it was fairly disastrous. colic – having had 3 subsequent babies, I think Fran was probably a very ‘sucky’ baby, one who would have used me like a dummy quite happily, if she had been breastfed. Her tummy ache and need for comfort was just insatiable; she screamed hysterically for hours on end, unable to sleep or relax, hardly ever full but not able to get any pleasure from drinking because food had to be squeezed into her. Colic remedies were useless and only being carried about upright seemed to help. With the benefit of experience since I would have known to use a ring sling to try and give her more security and comfort. At the time, we eventually remedied her needs by finding a very flat teated dummy that she could use and it helped her enormously. She gave it up happily at 16 months after an operation. In terms of feeding generally, it was very much trial and error. We never got on with the shovel style rosti bottles but did find the NUK made very flat teats made from clear plastic rather than rubber, which were soft, fitted under her cleft neatly and allowed her to learn to “crunch” the teat to release milk. I do believe this helped her a lot, as she did at least learn that mouth movements would produce milk for her. We cut wide crosses into the top of the teat and this allowed the milk to flow reasonably quickly. She continued to drink milk from a similarly doctored teat until she was almost 5 when she stopped overnight. However, the soft squeezy bottles that CLAPA sold, while invaluable at first, were not necessary long term and we were able to fit our teats to standard bottles, which made an enormous difference to me psychologically as I no longer had to take “special feeding equipment” out for my “damaged” baby. Which leads me on nicely to the psychological effect at the time on me, new first time mother of a child born with a “congenital deformity.” I can look back now and see that in some ways, a cleft is a small thing – not life-threatening, not death, not life-impeding and most certainly not something to be ashamed of. I am proud of how I felt at the moment of at the moment she was born – I do know I knew instantly it was all going to be fine and I was absolutely okay about it. But over the following days, weeks and months I know I went through a range of emotions which absolutely terrified me, of which only the first one I was properly aware of as being “wrong” was that I really felt, for a few hours, that I didn’t want her to come back from the operation to fix her lip. *I felt terribly guilty; my bodies only job had been to keep this little being safe and make her whole and I had failed. I can remember crying and crying and apologising to my husband and to her, like I had somehow forgotten to do something I could have easily done better. *Anger; why me, why us, why her, why her face, why not that child? Why this one thing, a physical deformity like I had, the one thing I felt had wrecked my self-esteem, happening all over again. *Rage at her for putting me through this. Rage at my husband or my genetics for maybe having been the cause of it. I looked in every bit of our faces and bodies and family histories for something that could relieve me of the guilt and failure. *Shame, especially when old ladies gasped in horror, or people said things like “oh and she’s got such pretty eyes too” as if she would have been perfect if only I hadn’t messed it up. *Panic – that something else would happen too, disease, car crash, or other disaster and I would be unable to protect her too. *Sadness that I would never know the feeling of joy at being handed my first child under happy circumstances. *Enormous anxiety for her future – I could see the pain, stress and bullying written out in stone before us and it made me want to hide forever. *Complete loss of self-respect. I had looked forward to motherhood for so long and had fallen (twice if you include the c-section) at the first hurdle. I think I knew I was healing, sometime later, when I heard of an abandoned cleft child and knew that I could never have done that, no matter how low and useless I had felt. It was a difficult time though and has, in retrospect, given me enormous respect for people who cope with far worse. It brought me very low; I felt I started motherhood from a deep and muddy valley, not a crest of a triumphant wave. People often told me how great I had been, how well I had managed and I just laughed in my head at the idea of it. I didn’t manage at all, I hated myself, my body and pretty much everything except Fran herself. I always loved her and I felt I had a huge amount to make up to her. I think all these emotions are completely normal though and probably many more besides. At the time, part of the difficulty was that I knew I had a great deal to be thankful for; she was alive and healthy but instead of it being a happy time it was fraught with emotions of guilt and worry and our own incompetence. 10 days old – lip repair. 9 months old – soft palate repair. 18 months old – partial hard palate repair. 5 years- further hard palate repair. 8+ – more palate repair and teeth work – as yet unstarted here. The first was inevitably the most difficult, I have deep sympathy for anyone who’s child goes through life saving surgery at any time, let alone 10 days old or younger. It was very difficult for us. However, if you are reading this and awaiting your child’s cleft surgery, I think I can now reassure you that it is probably worse for you than for the baby. Fran seemed to cope very well, with minimal pain relief and a quick recovery. *plenty of distraction toys/activities for the hungry pre-op hours. We had to go in 2 days ahead for tests etc (MRSA being a big issue) so lots to do for that time and arrange visits for yourself, yo keep you sane. The more company the better. *Prepare your child for photo sessions and lots of people wanting to look inside their mouth; play some dentist games prior to surgery if you can. *Unless you really feel strongly against it, don’t lie. We explained to Fran (at age 5) that it was going to hurt for a while afterwards but that the pain would be sorted out with medicines. The nurses were surprised by our honesty with her, but lying seemed hugely inappropriate, given she had further operations to come. We made careful distinction between operation and post-op and explained the anaesthetic procedure, prepared her to expect to think she had immediately woken up again and reassured her she would not feel the operation itself, only the after-effects. In hindsight, what was hard to explain was the moments where she was beginning to come round and in pain – she was very angry for a while. *Recovery room can be difficult, especially if the initial pain is not totally controlled. Expect anything from calmness to fury, complete consciousness to semi-conscious thrashing and distress. It’s been different every time for Fran. Try not to be upset by it; Fran hasn’t remembered even the most horrid recovery room experience, though she does remember that she refused to talk to us for 3 Disney films worth of tv afterwards! *Trust yourself. If they don’t seem right, you are probably right. On one occasion I was telling them for several hours that she was getting a temperature post-op. It took a nurse to finally come in and find me sobbing to take me seriously, and I was right. *These operations are not “serious” however scary they are to cope with. (And they are scary.) Your child will be ready for soft food, playing and possibly home, by the next morning. They recover quicker than you will! It is worth getting them to like some soft meals before hand as they will be on soft food for several weeks. *Worth weaning off dummies in time for palate repair, though Fran just forgot hers when we didn’t give it post hard-palate repair. *For lip repair be ready to look after the stitches site carefully; we were given an ointment to put on regularly which kept the stitches soft and supple, ready to be pulled out. Fran’s looked like little whiskers for a week, but came out cleanly and left an amazingly perfect little lip – hardly red, hardly looking like it could possibly have been so different only a week before. *Consider having a really nice photo taken of your “gappy” baby – I was so glad I had one done of Fran and look back at it very fondly. I grew to love that little face in 10 days and was quite sad to see it go. Currently, lip repairs are done at 3 months, so it may not be so important to people to have a photo of the gap to remember. It was to me though. *Be ready for splints and worse, be ready for when they won’t work! After her lip repair, Fran had her arms tied with a loop of bandage on her wrists and between her legs, to stop her pulling her stitches. At 9 months we had to bandage her arms stiffly with covered cardboard splints to stop her picking. At 18 months we just had to watch really carefully she didn’t pick as she was too strong for splints to work. Make sure they can’t get hold of sharp implements like pens or thin play bricks and undo all that good work! We met Fran’s speech therapist on the day of her birth, when she helped us to establish feeding. In our area this is now done by a specialist nurse, but at the time it worked well. She still has the same therapist, who is a firm friend and has been counsellor, advisor and more for 8 years. Fran’s speech has been her major difficulty up until now, but in fact the speech therapy has been fairly muted and sporadic. In the early days it is little more than the therapist listening, recording, advising the surgeon on possible intervention required and providing some simple games and exercises. We’ve always taken the approach of repeating words and sounds back correctly, without making a big deal of it and just picking moments for showing her that something was needing a change to make it work. P, B, V and F were the slowest to come and she mastered them? around about her 6th birthday. Until then P had come out as C and B as G and one of my favourite memories is the genuine delight and congratulations Fran received from a friend whose name began with P on the day she finally mastered the name. At 8, Fran is now hampered only by the physical remains of her cleft which slightly affect some sounds and the increasingly wonky teeth which change the way she uses her mouth in some circumstances. This is still something of a closed book to us as we have not yet begun this phase. At this time we are awaiting the growth of a few more adult teeth, the top front ones of which are coming through angled at 45degrees away from her cleft side. I can only say that *I* go for months at a time without thinking of Fran’s cleft now, having had several peaceful years away from hospitals and the like. I expect it will come to the fore again shortly. From the point of view of mothering a cleft child, our approach has always been brutal but loving honesty. We have never lied to her about her looks, operations, speech, the future or how other people might see her or react to her. On the few occasions she has come up against a rude child or adult or had to deal with mild bullying, sniggering or confusion, we have always met it head on, either speaking very clearly to her about it, or tackling the circumstances where she was having difficulty. When some children at Rainbows laughed at her speech, saddening her, I went in and spoke calmly to the whole group of girls, explaining her condition and what it meant and backing it up with a letter to their parents giving basic info. I believe most children are mean out of curiosity or anxiety and that giving them facts and treating their curiosity with respect helps. Certainly in that case it completely fixed it and she was absorbed with affection into the group from then on. I am firmly of the belief that children with clefts need a model of behaviour and that it is the parents job to show them how to react. If I react with sadness, shame or embarrassment, she will learn that behaviour and so we have always tried to react with an attitude of “this is how it is, we couldn’t change it and it is part of Fran so either you can live with that, or you can’t” – so far she seems to have been able to absorb that and carry it off when required but part of our decision to home educate was based on a feeling that it was our job to do that for her until she was ready to do it herself. At the age of 8 I can say with pride that she carries herself and her cleft with great confidence.